Lawmakers opposed to gay rights on Tuesday blocked debate of a civil unions bill in Costa Rica's Legislative Assembly. Opponents called 3 15-minute recesses in a row as lawmakers attempted to debate the bill, prompting the chamber's president, Victor Emilio, to table the discussion and bring the evening session to a close. Two years ago, Costa Rica's highest court blocked a referendum on the issue from going forward, saying the issue should be decided by the Legislature and not the public. However, legislative progress has been thwarted at every turn. Justo Orozco of the Christian conservative Costa Rican Renovation Party (Partido Renovacion Costarricense) was one of the three lawmakers who called for a recess. 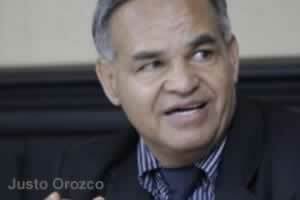 Orozco, as head of the Human Rights Committee, rejected the bill earlier this year. Using her executive powers, President Laura Chinchilla returned the item to the agenda. The Bishops' Conference of Costa Rica condemned the measure in a letter addressed to lawmakers. The Roman Catholic group said granting gay and lesbian couples the same legal benefits as conventionally wed couples would harm society.